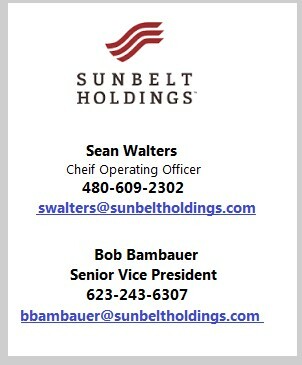 PV|303 is Arizona’s rising hub for business expansion and connectivity. 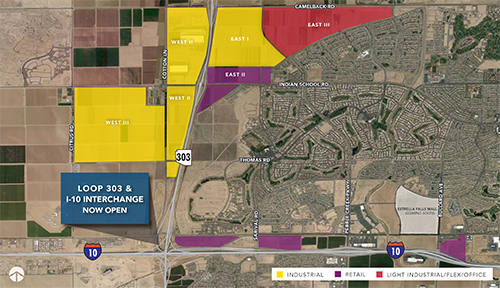 Located in Phoenix’s West Valley, PV|303 is a 1,600-acre business park which sits at the confluence of Interstate 10 and Loop 303 in Goodyear, AZ. 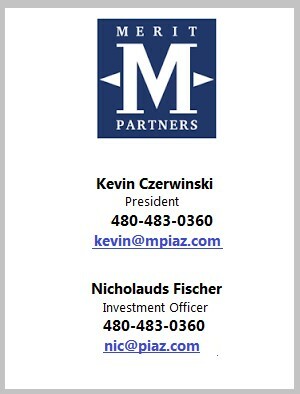 The master planned business park is designed to meet the growing demand for commercial and industrial opportunities in the metro-Phoenix area. At build-out the park will offer 20 million square feet of office, retail, and industrial space. 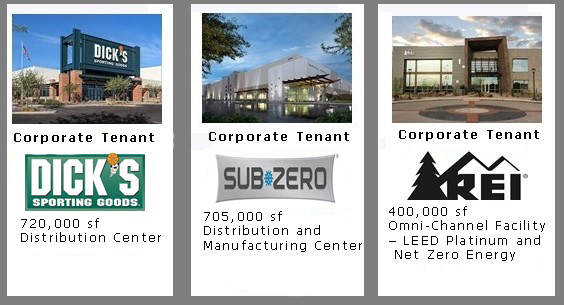 PV|303 offers companies a high-profile location, shovel-ready sites, infrastructure, speculative industrial produce, incentives, deep high-qualified labor pools, and unmatched amenities. 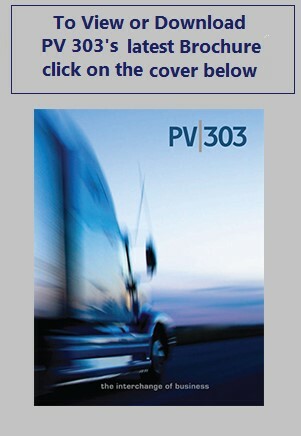 An FTZ-designated site, PV|303 is a gateway to serve Arizona and key markets and ports in the western U.S.